Have a special shipping need? Contact Us! Every Piece of coral is inspected and packed in a coral specific container for each type of coral. Coralust takes much pride in their shipping abilities. 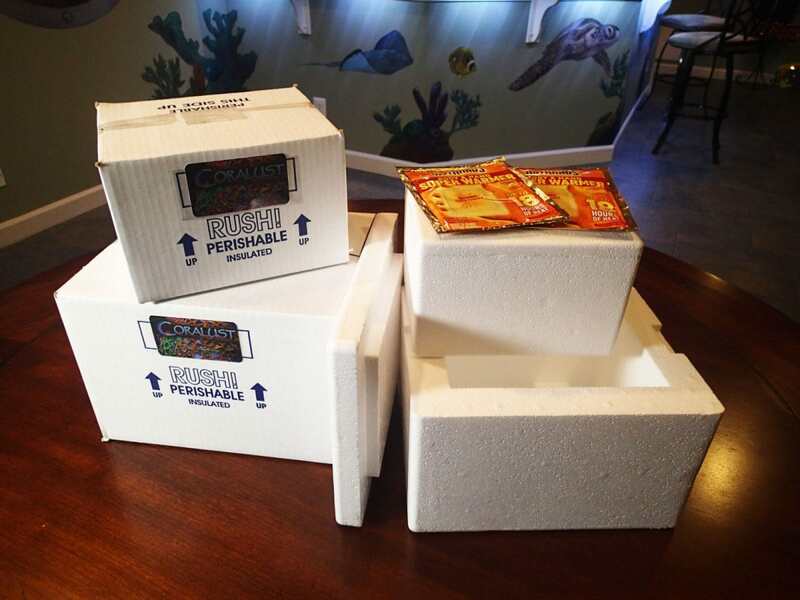 Your order is safely packed in a insulated container to protect your coral from all types of weather conditions. During weather extremes we will use heat or ice packs. That’s why we choose to ship FedEx Priority Overnight delivery. Less time in the Box means less stress for the corals. $220 and up FREE! FREE! All orders are shipped via FedEx Priority Overnight® – The faster way to ship your corals. When your order is processed you will receive an e-mail containing your FedEx tracking number. You must receive your corals within the hour and report and issues right away. Take pictures of any damage to the box or the coral and email them to info@coralust.com failure to do so in a timely manor will void your warranty. We guarantee your corals to arrive safely. We are not responsible for negligence or shipping cost. Refunds are for the cost of the corals not including shipping. Replacements are only available on certain corals. Those of you who know Coralust appreciate the quality and health of our corals and we appreciate your business and lately had to report scammers trying to abuse our policies. Want to purchase a coral but not ready for it to ship. You can chose a different Ship date. 20% restocking fee for any order cancellations or store credit for 1 year. With your order you will receive a invoice along with acclimation instructions for your items, they can vary so its good to read all included info first as these are subject to change and sometimes exclusive special promotions are sent with your packing info. ​We do not require signature for delivery, but delayed acclimation could void your warranty. If something is wrong with your order in any way take a picture and send it to info@coralust.com as soon as possible (ASAP).